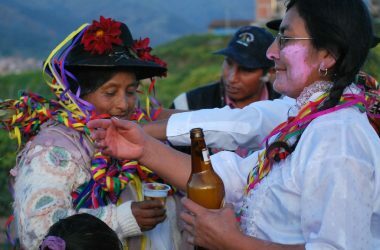 In the community of Huaypo Grande of the District of Chinchero in the province of Urubamba on September 24, 25 and 26, the celebration of the Virgin of Mercedes (Our Lady of Mercy) begins. It is a celebration imposed by the Catholic Church in the 16th century. This Virgin is brought and has its devotion in the Order of the Mercedarians who arrived during the conquest of America. 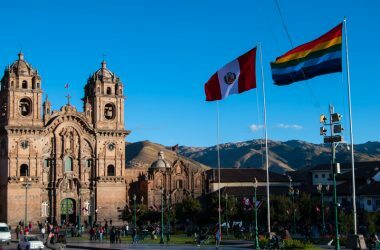 The first cities to receive them were Cuzco, Lima, Quito and Paita. They celebrated the Blessed Virgin Mary. We know that the Spaniards imposed the Catholic religion on all lands where they conquered and the Andes was not going to be the exception. Andean man held beliefs that were rooted in his Faith in Mother Earth also known as Pachamama and the Apus or spirits of the mountains. It was this same that the Catholics tried to the Virgin Mary of the Catholic Church be similar to the Pachamama de los Andes. It was easier to make this kind of comparisons to further the understanding and acceptance of the new religion brought by foreigners to these lands. It is said that the Andean man had different celebrations that coincided with the Agricultural Calendar, celebrations where Mother Earth was venerated and thanked. And, the celebration of the Virgen de las Mercedes precisely coincides with the beginning of the rains in the Peruvian Andes and therefore the preparation of the land for sowing. In ancient times this was very important since it brought the beginning of the Fertilization of the Earth festival. 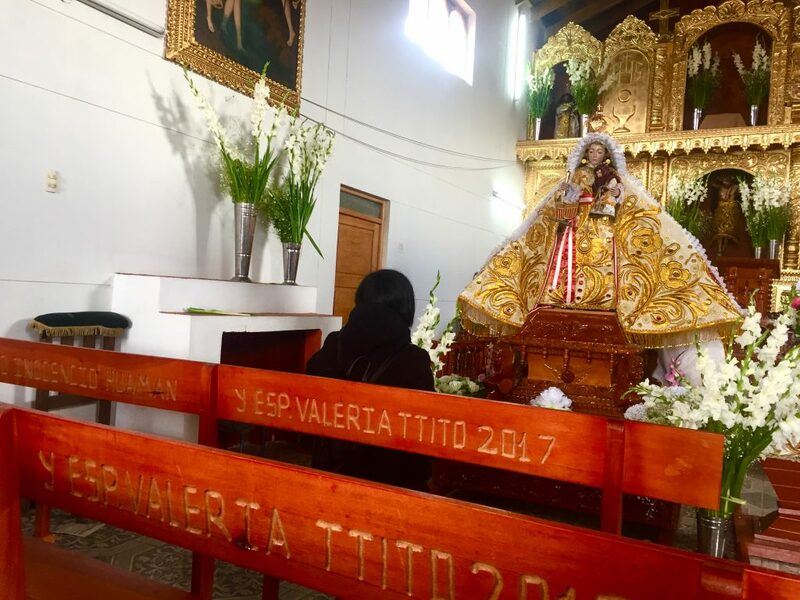 Here in this community of Huaypo Grande you can still see many of the ancestral customs fused with the religiosity of Catholicism in this festival in honor of the Virgen de las Mercedes. 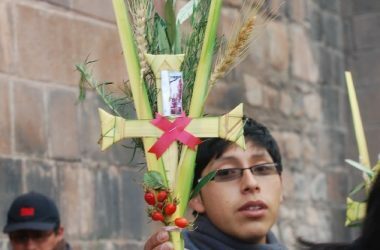 As in each patronal Fiesta in Cusco, the Fiesta begins with the Welcome Mass where the 7 communities of the Huaypo Grande Sector participate. All the people wear their best Ponchos with earth colors between red and oranges. 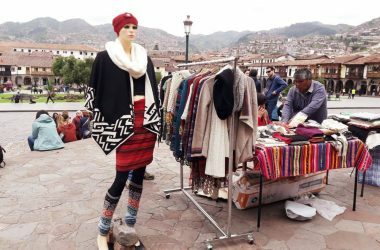 Women also dress up of the same with braids on their head, red monteras, and black skirts typical of Chinchero District. Each community has a band and a typical dance that with much joy and happiness await the image of the Virgin who will give a procession close to the church of the same name. After each community passes the prayers and they light candles in a small room near the Church, each comparsa dances for the Virgin and makes their respective greeting. At lunch time each community presents an altar that is made of bread of unleavened wheat and on the sides are put to the food for distribution. In this case that would be the chiriuchu and the lechon. The whole community has to pray and be grateful. After that, the bread is distributed to all the participants of the community who, when receiving it, have to receive with a kiss on the bread as a sign of acceptance and blessing, it is said that this bread will be taken home to put on the family altars and bless the family. Then they lay blankets on the ground where the Mote is put with Puspo. This is the sweet white corn together with the cooked beans for the delight of the participants. It is just like the tradition in the farms where everyone eats from a common place as they want to say that they are all brothers and share a single dish for everyone. Everyone goes to serve the corn that you have to pick up with your hands and eat as much as you can because they abound. This is what most stands out in this fiesta. The food is now passed around, the Chiriucho and Lechon as well as the drink, that is the strawberry chicha. At the end of the meal, the same is done as was done at the beginning. A thank-you prayer is offered for the food. People then distribute the bread of the altar to the elderly. Then the fiesta continues with the dances of the comparsas as well as the bands where all the participants dance and drink. The 25th is the central day with the procession of the Virgin throughout the community of Big Huaypo and on the 26th it ends with the blessing of the Virgin. These are three days of pure celebration, faith, and devotion where one can observe with nostalgia the ancestral traditions. We can only imagine how it should have been in ancient times.